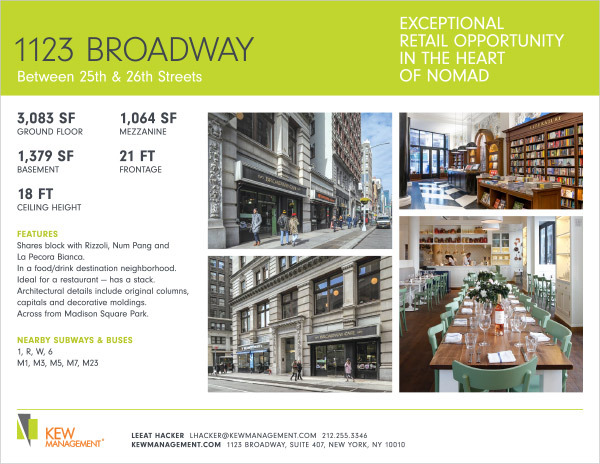 Prime opportunity on Broadway in the center of NoMad. 3083 sq. ft. retail space with 18 ft. ceilings, 21 ft. frontage, 1064 sq. ft. mezzanine, and 1379 sq. ft. basement. Clean, open space. Ideal for restaurant, has a stack. 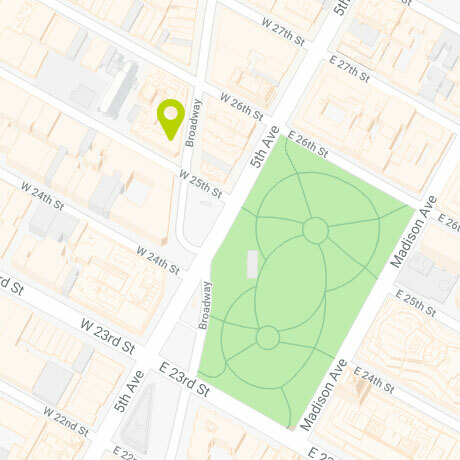 Near Madison Square Park on same block as Rizzoli, La Pecora Bianca, and Num Pang in New York’s hottest food/ drink destination. 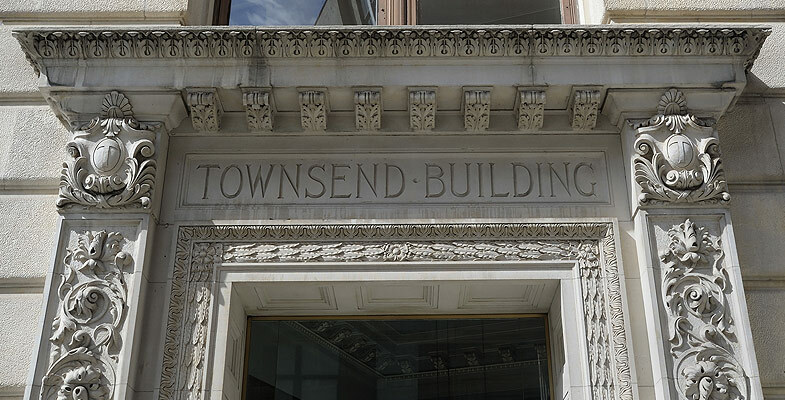 Brand names such as Tiffany & Co, Sony, New York Life, Anheuser-Busch, Grey advertising, Dropbox, and Porcelanosa, along with many design and tech firms, fill NoMad’s hundreds of commercial buildings. There are 21 residential buildings nearby with several large developments currently rising, and a fast growing number of hotels are located within a five-block radius.